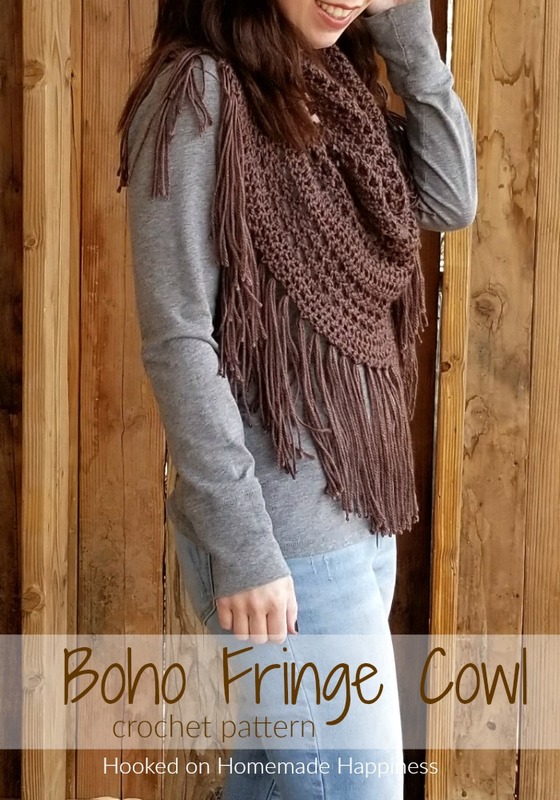 The Boho Fringe Cowl Crochet Pattern is a design made for Sewrella! This cowl will add some fun to your outfit! It’s cute with jeans and a t-shirt, but I think it would also look so cute with a skirt and some boots. 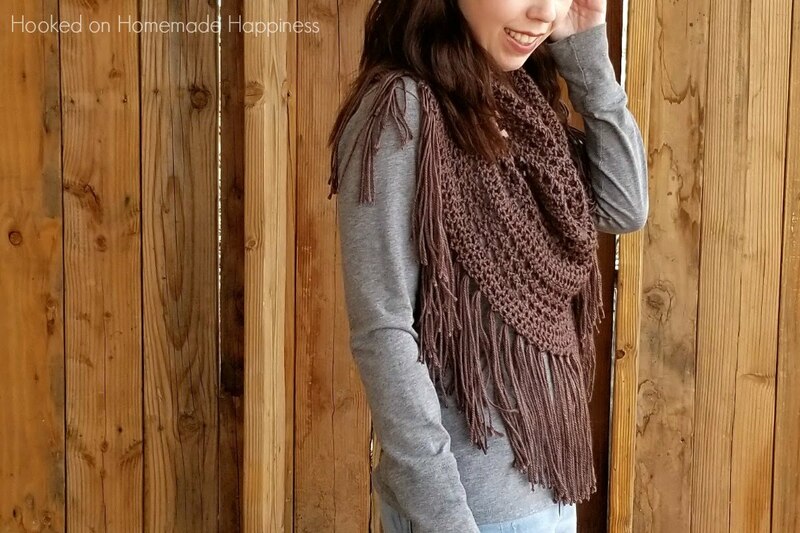 This cowl is so easy and comes together surprisingly quick. 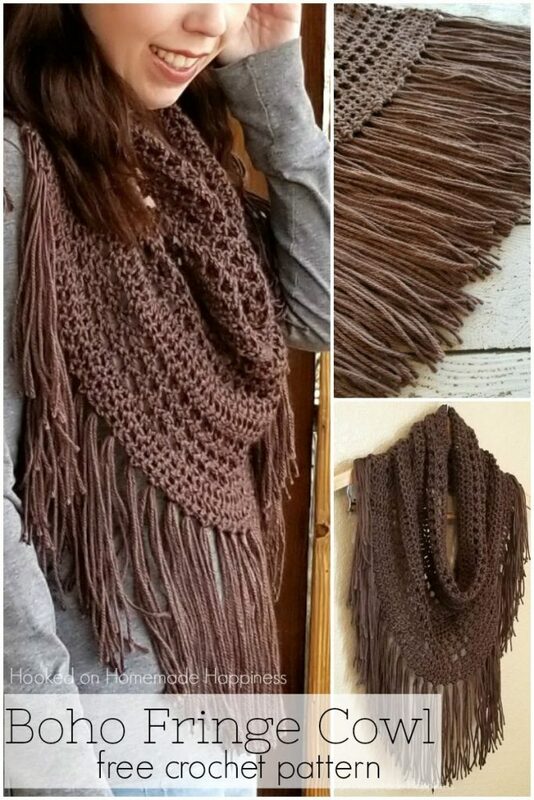 It only uses two stitches, double crochet and a chain. Plus, fringe! Lots and lots of fringe. 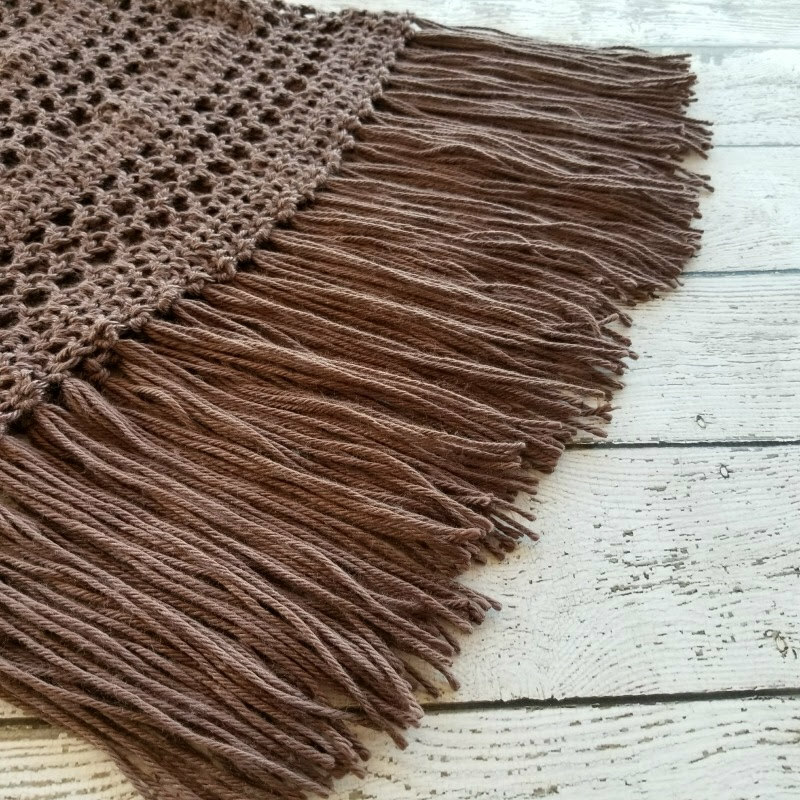 Fringe for dayyyyyyyyys with this one! I think it adds some fun and funkiness to the cowl; plus, I love me some fringe, so I added lots to this piece. It’s totally optional though and it still really cute with less fringe, or even without the fringe. I used Caron Simply Soft for it because it’s a lighter worsted weight acrylic and can be worn during cool fall and spring evenings. To make the cowl even lighter you can use cotton, too. Or because Caron Simply Soft is a lighter worsted, I think dk weight yarn could be used without any modifications to the pattern. No matter what yarn you choose, I think you’re going to love this cowl! I can’t wait to see what colors you choose! You can find this pattern at Sewrella HERE! Be sure to share your finished piece with me! Tag me on Instagram (@hooked.on.homemade) or in my Facebook Group! 🌺Aloha! I love this pattern! I live in Hawaii and it’s pretty warm here. But this style is perfect for an evening out or just to keep you a little warm, so stylish!